G20 represents the twenty most politically influential and economically powerful nations of the world and T20 is the Forum for the leading Think Tanks from the G20 countries. 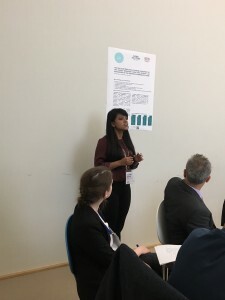 The Think 20 Summit 2017, held in May, in Berlin, Germany is the concluding conference of the Think 20 Dialogue (T20), which promises to be an excellent opportunity to discuss and develop new solutions to major global problems with leading international decision-makers from think tanks, academia, business, politics, international organizations and civil society. Mr. Syed Munir Khasru, Chairman, IPAG, Avia Nahreen, Senior Research Associate, IPAG and Kazi Mitul Mahmud, Research Associate, IPAG were invited to participate in the summit. IPAG is a member of the T20 and was inducted in the Task Force on Forced Migration (TFFM), one of the 9 official Task Forces of the T20 which aims to provide innovative and evidence-based policy options for the G20 Leadership. As the Lead Member of one of the Task Forces, IPAG prepared a Policy Brief on ‘Reforming the Forced Migration Governance System”, which is now published in the G20-Insights Platform. During the event, the recommendations from this report was forwarded to G20 leaders for taking forward policies on forced migration. 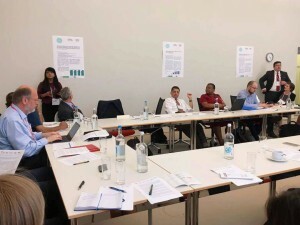 The “T20 Germany and beyond: Stock-taking and next steps of the Task Force on Forced Migration” held at the sidelines of the T20 Summit brought together TFFM members involved in the elaboration of the T20 Policy Briefs along with other experts. Ms. Kazi Mitul Mahmud briefly presented the policy brief and discussed the recommendations during this session. Several pertinent issues were raised at this meeting regarding the continuity of efforts within the Task Force, deciding on follow-up projects for research & implementation, and possible ways to expand the scope of the G20 briefs.